One of the things I most love about ultrarunning--and this was on full display at the Run Rabbit Run 100-miler last weekend--is that it requires tremendous commitment to an end goal and the grit to get it done. In a marathon, if things go south, what are 5, 6 or 7 miles of suffering (not too bad, when you really think about it)? But in a 100-mile run, if things go south at mile 50 or 60 despite all the hard work you put into your training, then you really have to dig deep and find it within yourself to achieve the end goal even if it means a long death march to the finish line (yep, been there). That requires a ton of grit, a quality that is rare in our society today. Almost everyone loves to talk enthusiastically about goals, but often goals fall by the wayside when adversity rears its ugly head. The reason is a lack of grit. I told my wife the other day that I feel my single biggest responsibility as the father of our son is to teach him grit, especially in this world where we are always seeking the path of least resistance and the easy out. I am not a rocket scientist by any stretch and I have many faults (including a high level of intensity that is often a strength but sometimes a weakness), but what I do have is grit and I want to impart it on my son. 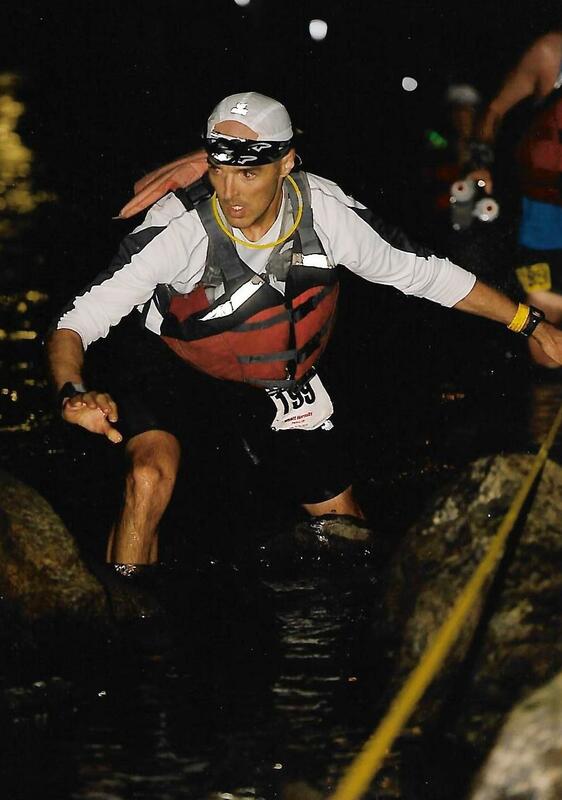 Ultrarunning is one of many great platforms for doing this. He has seen me run a lot of 100-milers--some great, some OK and some very "tough days at the office." At the Western States 100 this year, at mile 94, he saw me in a bad state, mumbling to myself and the crew, "Stay the course. Stay the course. Stay the course." That was my grit coming through, and I feel it's on me (and my wife, of course) to instill this quality in our son. Because no one else will. 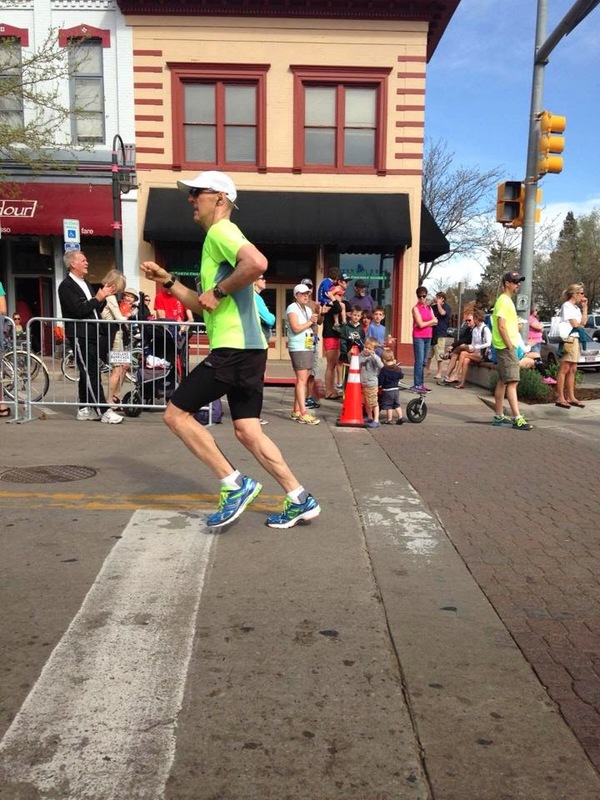 There are so many life lessons within ultramarathons--for the runners, their crews and their families. But grit goes way beyond ultras. We all face setbacks in life and it's important to "stay the course," adjust where needed, and never, ever give up. If you refuse to give up, you make yourself capable of achieving greatness. I really believe that. It's critical for children to experience failure and have to dig deep and come back from it. Call it grit. Call it perseverance. When kids are protected from failure and adversity, they are unable to develop grit. They come to expect everything to go their way and then find themselves shattered when it doesn't. That's really sad because grit in the face of adversity is fundamental to succeeding in life. Without grit, the inevitable failures life will bring--rejection, job woes, conflict, relationship strife, and various other stressors--will eventually pull you down and even destroy you. As much as we parents may want to protect our children, we occasionally need to let them stumble and fall/fail. Well beyond ultras, there have been many times in my life when my grit has pulled me through. I lost a job a handful of years ago. I have lost friends. As a child, I was bullied. I have been rejected. 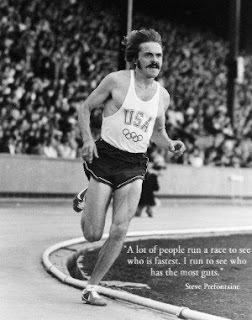 And, yes, probably like you, I have had to dig deep--very deep--in long races where things went bad. On two (rare) occasions, I didn't pull through in a race. I DNF'd at Bighorn in 2015 because my stomach blew up and I just couldn't turn it around because I lacked the fight to do so on that day. That DNF left me a shattered runner, but I picked up the pieces, started training again, and got into the Javelina 100, which allowed me to then get selected for Western States (call it good karma). 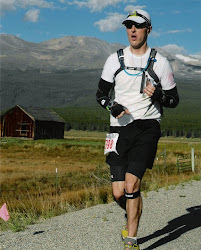 I also DNF'd at Leadville in 2012 because of a knee injury that, again, I lacked the fight to deal with. We will all occasionally give in to life's curveballs--we're human, after all--but even then you have to have the grit to chalk it up as a learning opportunity and move on a better person. That's what I did after those two races. Even now, I am facing a situation or two that may call for some grit. I'm sure you are, too. I don't know what the outcome will be but, if it's not the outcome I want, then I'm going to need to call on my grit, "stay the course," and find a way to come back better than ever. In closing, one of the best-ever TED Talks was by a woman named Angela Duckworth. In her talk, she goes into what it means to have grit and why grit is so fundamental to healthy child development. Check it out!